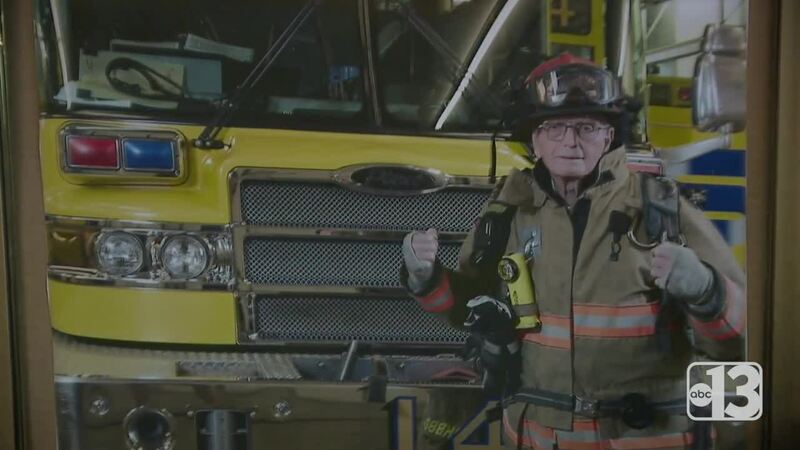 UPDATE JUNE 6: Days after getting one of Clark County Fire Department's highest honors, Kenneth Masters has passed away. Firefighters surprised him at the hospital last week. The tragedy is bringing together Masters' biological family and his brothers in public service who live in Las Vegas. Firefighters said the station is going to feel different now. Masters would visit sometimes three times a day. Even though his family wanted him to come home and leave Las Vegas, he would not leave his firefighter friends. "With this job you don't see a lot of the good in people, but Ken Masters there was nothing bad about the guy," said Captain Nick Radef with the CCFD. One wall in the veteran's home shows just how huge his life was: his World War II medals, uniforms, and even a letter from the White House about his military service. Masters spent 93 years on this Earth and almost every single one of them was dedicated to helping others. In his last moments, he was helping these firefighters about as much as they helped him, refusing to move even though family lived thousands of miles away. Even from a hospital bed, his light shone brightly. 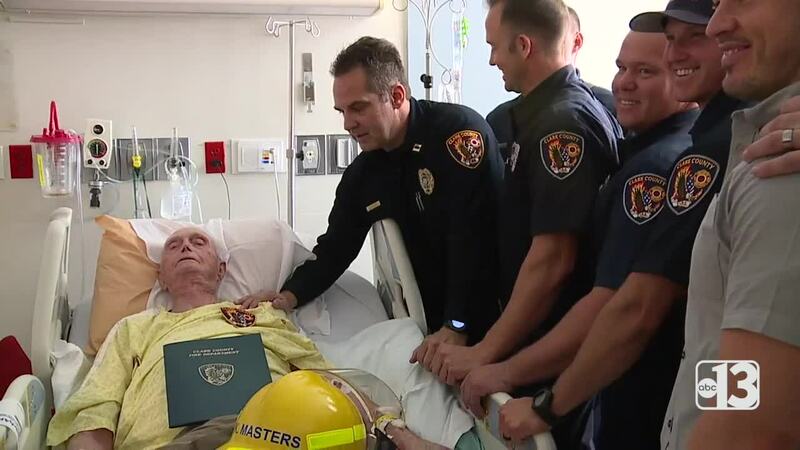 To some, a hero in his nineties and an entire fire department might seem like an unlikely friendship but for the men who knew Masters, it was an example. "We hope that... Other people take into account people in their neighborhood and befriend people they might not normally expect," said Travis Jackson with the CCFD. Masters is from upstate New York. That's where he will be buried, next to his wife. ORIGINAL STORY: A man who gave so much for this country got a priceless gift while in a hospital bed. 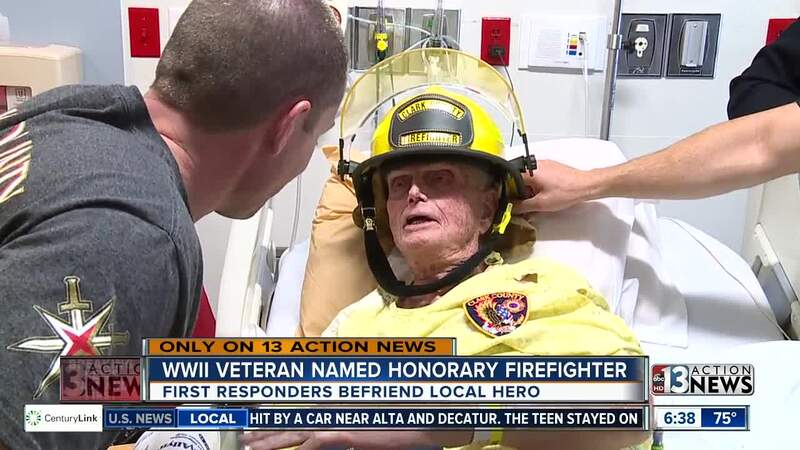 Clark County firefighters have a special bond with Kenneth Masters, a World War II veteran. They met Masters when he called 911 for chest pains about five years ago. "If I could get up right now... I would be the first to enlist," said Masters. "Firefighters are angels. They save lives," said Masters.